The trauma of war always ripples outward in concentric circles, deeply affecting entire communities. During World War II, rural Australia faced devastating losses. Nobody understood this better than the beleaguered messengers, like Bill Williams, who sets off on yet another sad task in James Khehtie’s short film, The Telegram Man (trailer here), which screens as part of the How To . . . shorts program at the 2012 Asian American International Film Festival. Williams used to be a popular fellow, so folks in town try to keep up appearances around him. However, delivering death notices has taken a toll on his social life and his psyche. Sadly, he has one of his worst calls ahead of him. 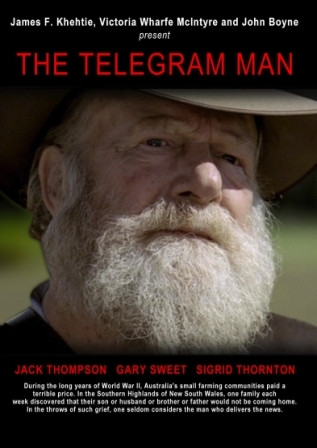 Based on the short story “American Farm ‘44” by John Boyne, the author of The Boy in the Striped Pajamas, Telegram Man easily transfers from the United States to Western Australia, because the underlying issues and emotions are so universal. Khehtie had Boyne and director Bruce Beresford on-board as advisers, but his real ace in the hole is lead actor, Jack Thompson. You might not recognize the unremarkable name, but you will know the craggy face from crossover hits from down under, like The Man from Snowy River, The Sum of Us, and Beresford’s Breaker Morant. Though he is often cast in parts that capitalize on his commanding presence, his performance here is marked by an acute sensitivity. Though Khehtie is Asian, Telegram Man might not exactly be the sort of film one would expect to find programmed at AAIFF. Nevertheless, it is a very assured and compassionate work, so good for them for selecting it. In contrast, the K-town gangster drama Jin (trailer here) might seem like a more traditional choice, but Il Cho’s AFI-supported short is also an emotionally complex and gripping work. After the death of their immigrant parents, Jin raises his school-aged brother by himself. It is not easy, because he works nights. He is low level enforcer for a gang operating in Los Angeles’s Korea-Town. Essentially enlisted in the mob’s management training program, he has been assigned to an increasingly erratic lieutenant. Clearly, the current arrangement is not conducive to the stability Jin hopes to provide his little brother. 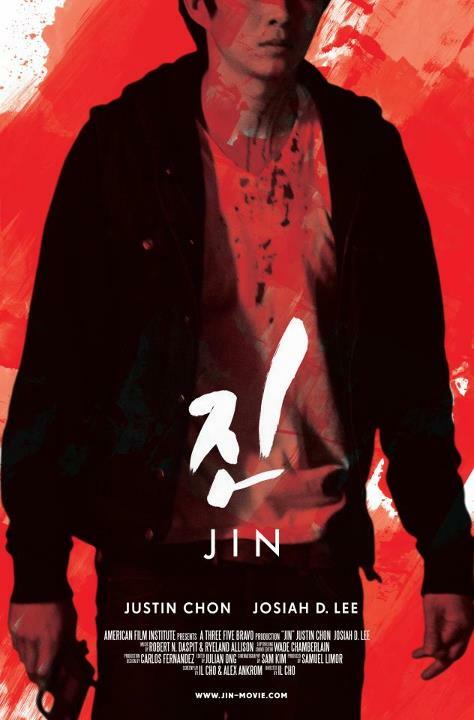 Featuring strong gangster movie elements and a touching story of sibling dedication, Jin nicely combines the best of both cinematic worlds, albeit in a starkly noir package. Indeed, optimism might be the one thing Il Cho leaves out of the mix, but the performances are dynamite. Justin Chon is magnetically riveting as the title character, while Lance Lim’s bright, endearing presence as his young brother serves as an effective counter-point. With Josiah D. Lee falling apart rather spectacularly, it is quite the small but impressive ensemble. AAIFF has a history of selecting interesting shorts and both Telegram Man and Jin continue the tradition. Recommended for general audiences, they screen together as part of the How To . . . shorts block this Saturday (7/28) as the 2012 Asian American International Film Festival continues in Chelsea. Japan Cuts ’12: Isn’t Anyone Alive?